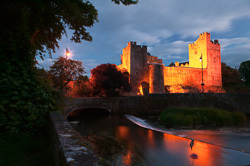 We think of Tipperary as the forgotten county of Ireland ? 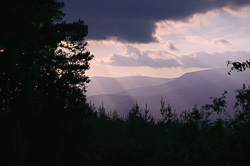 and the mystery is why that should be as it is without doubt one of the most beautiful counties. 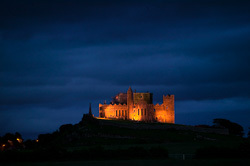 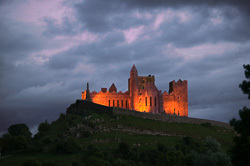 The visitor will of course see the Rock of Cashel and probably Cahir Castle. 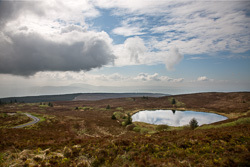 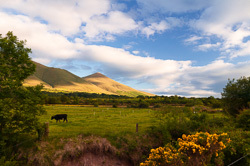 But there is infinitely more in Tipperary: Holycross Abbey, the Galtee and Knockmealdown mountains, the stunning Glen of Aherlow, the River Suir and much more. 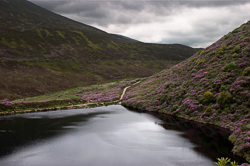 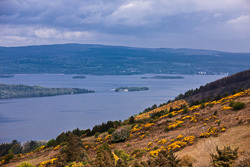 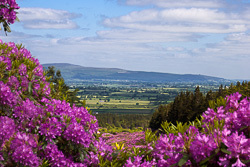 We were very luck to be in Tipperary just at the flowering of the rhododendron at the end of spring: the valley of The Vee on the Knockmealdown mountains is literally breathtaking, covered as it is in the brilliant pinks, reds and purples of the rhododendron. 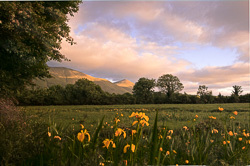 We have many photographs of Tipperary ? 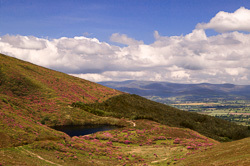 please contact us if you are looking for a particular image and we will look into our archives for the image that you want.